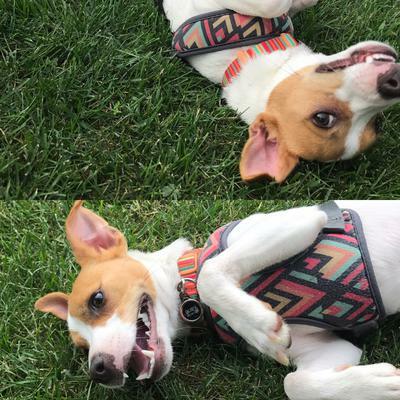 I got Ruby 3 months ago from a ARF in Berea ,OH They said she was a Jack Russell but mosty likely a mix... She was a timid adorable sweetheart that cuddled with everyone. Well everyone kept guessing jack russel and itlalian greyhound... Or whippet. 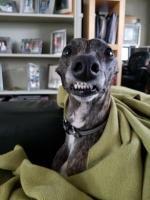 I had a friend with a whippet growing up. So I've come to the conclusion she is a Jack Whippet. I don't wanna get it tested but I'm pretty postive... 90% sure!!! Ruby is fast, friendly, timid and not food driven. Every once in a while she get stubborn like a Jack. She definitely looks like a Jack but she's not stocky, has long legs and a skinny whippet build.. But overall her personality is a little shy/fearful but friendly after a bit or friendly right away if you are! 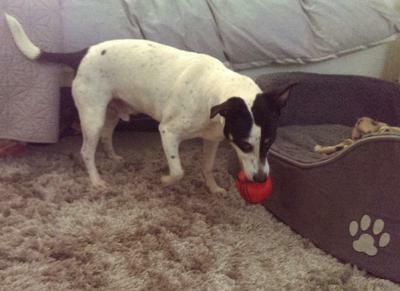 Ruby is an amazing sweet heart, loves to play fetch! She took to it right away and within the first 2-3 weeks was off leash playing fetch like a pro... Ive had her 3 months and This past week I'm absolutely sure she'll be a frisbee dog. She can leap and grab it and when warmed up get 25-30ft throws! I love her and everyone who meet her falls in love too! 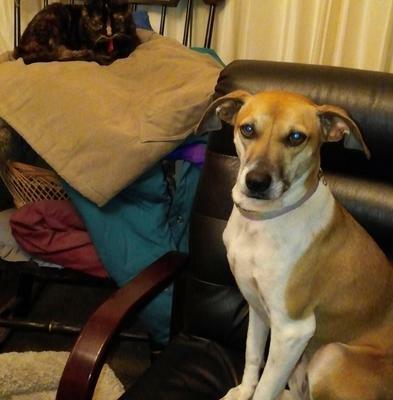 Cassie came to us three years ago with a friend who works in a kennel where there are rescue dogs. She never went back. Wafer thin, gangly legs, enormous ears. Soft wiry body hair and velvety head and ears. Over the first few weeks we observed and tried to work things out about her. In the morning she stretched out full length on the carpet and snapped her jaws in the air like a crocodile. On walks she looked like Bambi when he first started to walk. She didn't know what to do with her legs. She cowered if we approached her. Now she is a happy confident dog. She has sudden bursts of running at terrific speed like a greyhound on a race track, turning corners mid run with great dexterity. She is the easiest dog we have ever had. Curling up in a quiet little ball on the softest seat in the house. Totally obedient and responsive to our language and requests. Sometimes her inner Jack Russell bursts through her calm Whippet and she barks to play. Then she grabs a squeaky toy and challenges you to try to get it from her while running away round the table. Cassie has given us more than we could ever have imagined the day we rescued her. 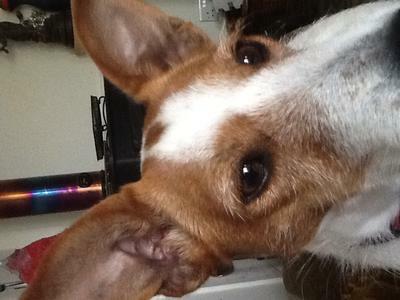 Toby - My Sweet Rescue Jack Russell/Whippet Cross! I recently rescued a beautiful dog from my local animal shelter. Toby has been with me 3 months now and having previously had another Jack Russell cross breed, I was used to plenty of barking and expecting it! What a delight Toby is - only several meaningful barks when he is happy, but he was so quiet for the first month, I was actually concerned that he was suffering from a vocal cord problem! He is like my shadow, extremely loyal, very loving and loves to groom himself so much that he could almost have been a cat in a past life! Everyone comments on his sweet nature and he is great off the leash, very obedient even when chasing squirrels! For some time I thought he looked a lot taller than a Jack, but it wasn't until researching the temperament of the whippet that I became convinced that he's mixed with one. He definitely has more traits of the whippet, short bursts of energy but happy to curl up under a warm blanket on the couch all day! I recommend whippets or cross bred whippets to anyone considering getting one. He is a total joy. 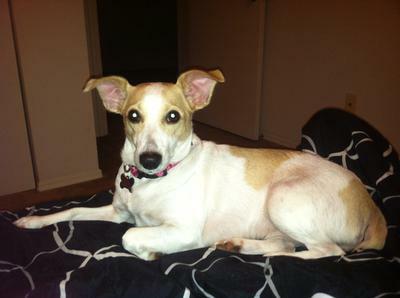 Bella is a whippet and jack russell mix. I adopted her from a family who didn't treat her well, she was about one year old and had come from a shelter, though they didn't give me her papers. She was extremely timid and ran and hid if you got to close but, when she finally did come to me it was a perfect match! (: I took her home and she has since then been my travel companion, my puppy to cry on, (she is especially good at sensing emotions and acting accordingly) she's my defender (or so she tries) my cuddles, and my best friend! I've had her for about four years and last year I expanded her name from just Bella to Isabella Marie Adkins, we got a new home stationed here with my marine and new husband, and she got a brother, Sargent socks, a domestic short hair kitten (: she loves to go to the park and chase her brother around until he plays back to rough, and she loves waiting at the door to jump and whine all over her new papa when he gets home! She is a one of a kind and a beautiful member of our new growing family! Just tried this a minute ago and lost it all, but now I know better what to say! I adopted Jilli from a lady in Dillsburg about 3 weeks ago. I'd never been there before, in Pa., and was nervous about driving. But had she said it was in Dillsburg, I probably would have laughed a bit and had more fun driving there! Anyways, you don't hear that name too awfully often! Hahaha! I'd seen her pictures online and through emails. A little doll! 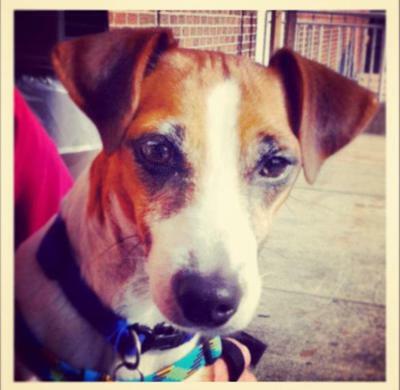 They said she was a "petite," Jack Russell, and did look thinner to me; but I had no idea! When I got her home, Jilli walked a bit and then came inside. Her back legs didn't move the same way a Jack's legs moved. She was much lighter, and her back legs barely touched down! To pee, she did a "tri-pod," looking Yoga stance, and the wind could have blown her away! I was a little nervous without a harness! She immediately hit the big chair once inside! Pillows and all! No doubt about her, Jilli was an instant couch potato. She stuck to me like a shadow and laid on the kitchen rug while I fixed her food! The sweetest thing you could ever imagine! Her change in behavior from inside to out was remarkable! Once on a walk, she was a hound dog in disguise. She definitely had the Jack Russell instinct for prey! Here this feminine little stream-line Jack, turned into an unusual hunter outside. She stood up on her hind legs to big dogs like Labs. I could have sworn she said to this one chocolate Lab, "I may look like a small Jack Russell to you, but I really am Goliath." She wasn't mean, just totally assured! Confident! Hahaha! Her little head was just too little for a Jack! Or Jill! And then I thought of the Whippet my son and I saw in Deep Creek Lake, Md. I found your website, and it was a match! She was a Whippet-Jack/Jill. I'd always liked them but had hardly ever seen one. The Whippet is much more stream-line than the Jack Russell, and taller. While Jilli is shorter, she has the longer leg, but is stream-line like the Whippet with the feminine head. Same coloring as a Jack! I am amazed! Happy and blessed! I could not have picked a better Jilli-Bean! My little love! We just adopted 2 year old Abby from a rescue shelter. 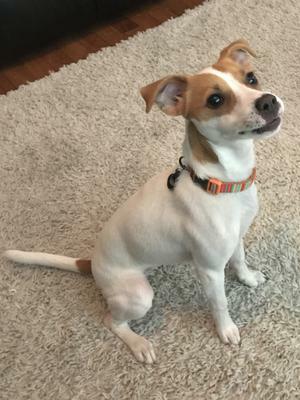 They told us she is a Jack Russell terrier and whippet mix. Her head and coloring look like a jack but her body is whippet for sure....long, long slender body and long, long legs. She is a huge couch potato and loves snuggly blankets. Her coat is smooth but very thin in places especially her ears and hind quarters. When she decides she wants to play she plays in excited but short bursts and wears herself out quickly. We got her a new round overstuffed bed yesterday and it's hard to get her out of it! She is the sweetest dog I have ever seen and rolls over for belly rubs at the drop of a hat. She likes to jump and stand up and stretch her long legs. I would appreciate any tips on making her feel at home and training. We want to make sure she is dog socialized. She does get a little growly if fearful. I adopted Daisy from a shelter, they had no idea as to what breed she is. At first, I was sure she was a Jack Russell Terrier. But as she grew older, I was seeing her change into something not quite Jack Russell. 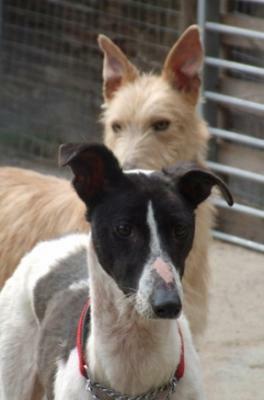 She also didn't have the personality of a the breed, she is very timid gentle and loving. She likes to sleep on the couch on top of many pillows and blankets, and she is such a cuddler! One of her most distinct features is her long sleek body, long neck and small head as well as her pretty almond shaped hazel eyes. One day at the dog park several people made the remark that she looks like a Whippet, I had never heard of the breed until then. 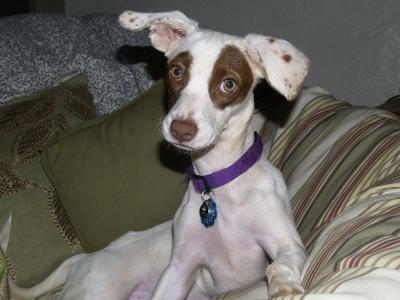 I went home and researched online, now I am quite certain that she is a Whippet mix. She is such a lovely dog, I couldn't be happier that I found her... whatever she is! We adopted Sasha from the Flagler Humane Society in Palm Coast, FL. Her 3 brothers were all partly blind. I wanted to adopt all of them but my mom wouldn't let me. She was this little, scragga-muffin with brown and white wire fur. She runs so fast that she beat my brother on a bike in a race from our street's stop sign!!!!! I love my Sasha!!! This is my pup 'MoFo'. 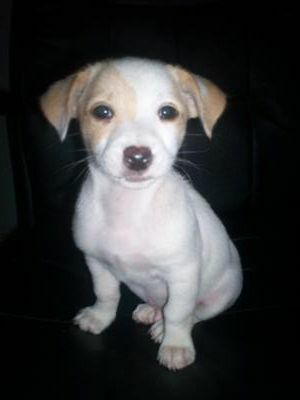 He is whippet x jack russell. I have only had him for 3 days but he has just slotted into the family so easy! He seems to have an old soul, so chilled out for most of the time. When he does get riled up he loves to play with his rope toy. My dog is called Lucy she is 12 weeks old and she is black and a white. She has a white stripe down her nose and also white paws. 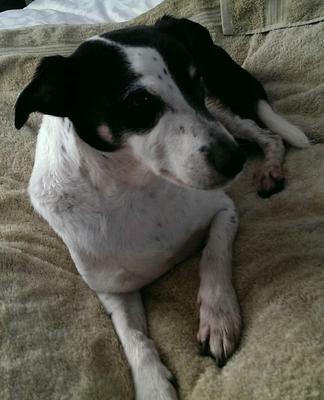 I am on day 5 with Lucky, a 6 year old that I have been told is a whippet/jack russell mix. 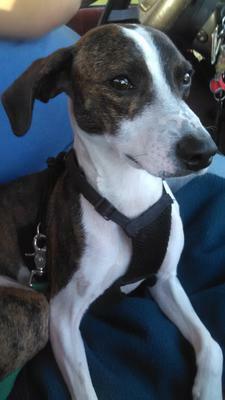 He has the big chest and long legs of a whippet, and most definitely the temperament. He is a couch potato (literally - I wake up every morning and he is on the couch. Do not know how to train him away from that yet). Lucky is really a gem. He is still very nervous - has had a rough last few weeks, but clearly was loved at some time. He can sit, stay. He is very smart, loves to play catch. Otherwise he just hangs. He is my first dog. I am going to start giving him a bit of time at home without me this weekend (he has been coming to work), as I have a few days at the end of the month when I can't take him to work. A friend found an abandoned dog on the middle of the road, took him home, took a photo of him and posted it all over town, and vets' offices. Nobody claimed him. I went to see him. He was small, timid and friendly. I am allergic to dogs and cats, but took him home and he did not affect my allergies. After 3 days, I took him to the vet for his shots. 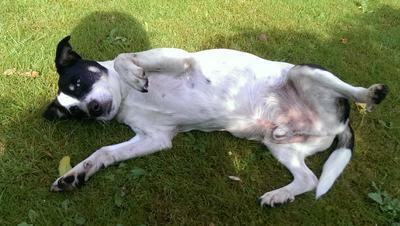 The vet said he was between 7 and 8 years old and was a mixture of whippet and Jack Russell. We named him after the road on which he was abandoned. He is a very loving animal. Sleeps late, and can hold off going out from 9PM to 8AM. We absolutely love this sweet boy. He is brown and white and weighs 12.5 lbs. 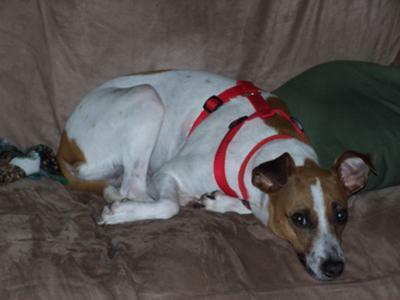 Wrigley is our Jack Russell/Whippet mix. She is about 5 years old. We got her as a pup from the local animal shelter. Like everyone here has noted, her temperament is gentle, playful, affectionate, obedient, and smart. She has to be one of the best dogs I've ever had, and I had 3 labs. She was very easy to train. I've never seen a dog play catch with herself, but she tosses her toys up in the air and catches them. She loves a swim in the pool in the summer and plays on the snow in the winter. 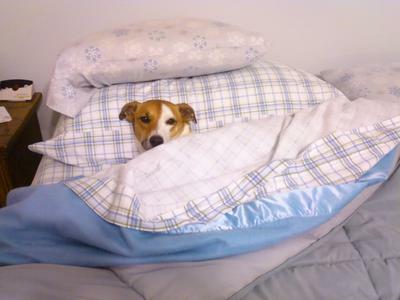 Whippet and Jack Russell mix. Loves being outside rain or shine......and lives to play! 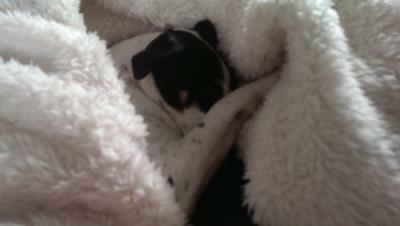 I have the most beautiful Whippet x Jack Russell called Mimi . I got her when she was four months old after not having the best start in life. I live in a flat and having animals all my life I would never contemplate a situation like that. In the early days I had very guilty doubts about Mimi living in a flat. Her house training started with myself and my partner which was very challenging but we were not ever going to give up even though she was behind with it . I soon came to realise that under no circumstances that we would not give up and we owed it to Mimi to make the situation work as I loved her unconditionally loved her from the moment I set eyes on her. By living in a flat it means that you cannot just let your dog out in the garden but you have to take your dog out for a proper walk which I do four times a days luckily having a job so close to home . She has changed our lives for the better as we have hers . Mimi is the most beautiful thing we have ever had the pleasure to care for . She is funny , loving , great fun and a real character. I could not imagine life without her now . Almost 2 years ago I was looking for a dog to adopt after my Lhasa mix developed an inoperable mast cell tumor and crossed the Rainbow Bridge. Best Buddies Pet Rescue in Waterford had this small, skinny, mix on their website and I felt compelled to meet her. I took my cat and my grand-puppy to the adoption event to make sure they would all get along. 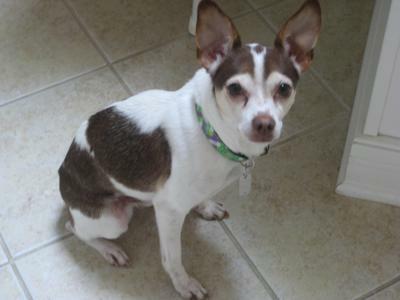 I found out that "Wags" was found in Ohio and at 18 pounds was underweight, but otherwise healthy. Since the cat and grand-puppy were fine with her and she with them, Lillipup was micro-chipped and came home with us that day. 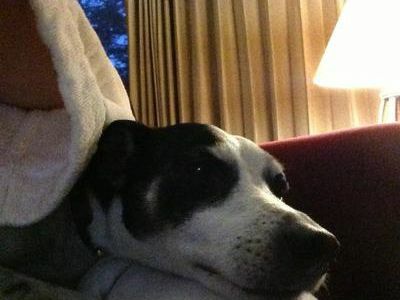 When she first saw all the squirrels in the neighborhood she made such a ruckus it sounded like someone was killing her, she wanted to get them, even when they were 20 feet up a tree or on the telephone wires. Since then I have learned about lure coursing (she loves it), added 2 foot of chicken wire to the top of my chain-link fence after she jumped out after a racoon (she has no fear and she seems to have springs in her hind legs), and found out that she still has found another way out so she's stuck on a tie-out in the back yard (until I get all the holes plugged if possible). So we go to the dog park where she has a grand time running and looking for squirrels in the trees. I love my smart, now 23 pound, sleek, running, jumping Lilli.